I love to see people feeling that their cities are making progress, and any time there is a bit of news on this front, it usually catches my attention. With the exception of Québec City, they have populations hovering around the 1.2 to 1.3 million mark (with metro Québec being somewhat smaller). They also fall into the same category for the type of lifestyle and services they can offer their residents. For me their people are generally the same (same lifestyles, same outlooks on life, same societal preoccupations, same ways of viewing themselves and the world, same ways of looking after their neighbours and societies around them… Same civic structures, etc, etc… I could go on and on. They’re virtually triplets in hundreds of ways)… love all three of ’em! My people, through and through). I know them all fairly well. I have worked, lived, or have gone to school in all of them. 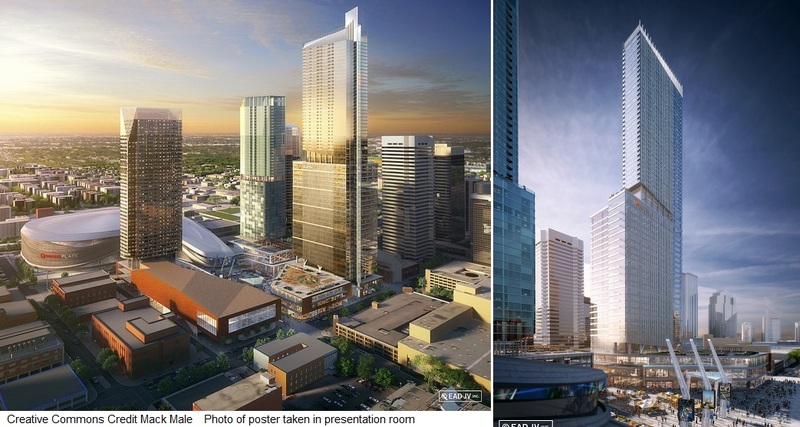 Both Québec City and Edmonton have had interesting new architectural announcements in the past couple of years. The main two promo videos are quite impressive – check them out (I underlined them). First, Edmonton announced it was building a 62 storey complex, the Stantec Centre, as well as a new multi-function stadium and hockey arena (all dubbed the “Arena District” in the downtown core). Edmonton’s new stadium and additional LRT stations are well under construction, and the tower’s construction is beginning. 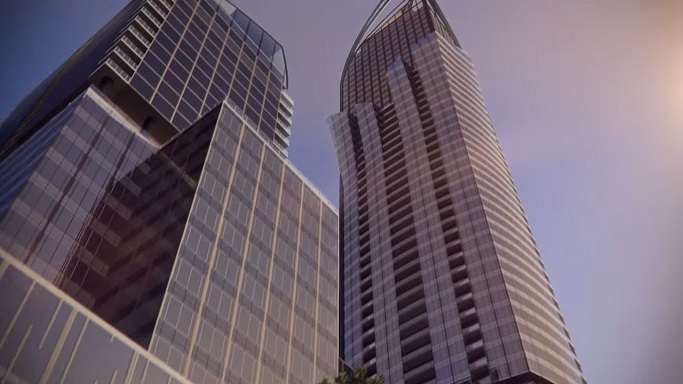 The tower will be the city’s tallest structure. Here’s another video. I LOVE the Northern Alberta English Accent in this next video. Reminds me of friends and family back in Northern Alberta. In Québec city, the construction of the new multi-function stadium and hockey arena is almost finished (it looks amazing!). 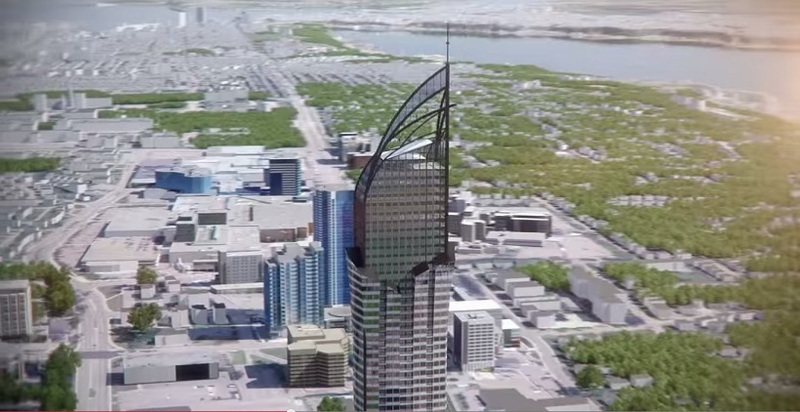 Just revealed yesterday that Québec City will be building a multi-tower office, residential and hotel complex, with the tallest tower being 65 stories. 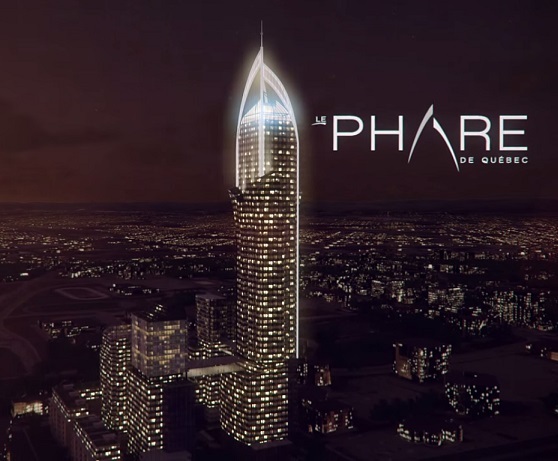 The Phare de Québec will also be Québec City’s tallest building. Both cities are hyped, and you can see that people are quite proud of the new projects. Feel-good projects are never a bad thing. By Quebec Culture Blog 101 in Uncategorized on February 19, 2015 .